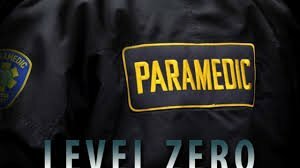 First response teams such as paramedics, police , fire-fighters and also nurses, doctors, social workers, and search and rescue teams are regularly exposed to traumatic situations that can impact their ability to cope and exercise their jobs. For these teams, loss of life and regular immersion into dangerous surroundings are commonplace occurrences following accidents, criminal acts, security threats, humanitarian crises or natural disasters. Many will develop secondary trauma or “compassion fatigue” in response, greatly impacting the quality of their work and often resulting in professional burnout. It is therefore critical to help professionals in such fields of work find ways to reinforce their internal coping capacities while maximizing sustained operational readiness in facing future day to day adversities, as well as extreme crisis situations. In the last three years NATAL has trained over 8,000 first responders in Israel. The goal of NATAL’s work with first responders is to promote wellness, avoid personal and professional burnout, and facilitate resilience and successful coping and decision making under stressful conditions. The inherent benefit of achieving these goals is the enhanced professionalism, efficiency, and impact these professionals will gain in exercising their jobs. NATAL takes into account the unique and differing needs of every professional field within the category of “first response”, tailoring and adapting every program according to what is of most relevance and value. The NATAL professionals who lead the Helping the Helpers program bring 20 years of real-world knowledge and experience of the psychological impact and repercussions of first response work, providing coping methods and tools that are proven to be effective in situations of immense challenge.